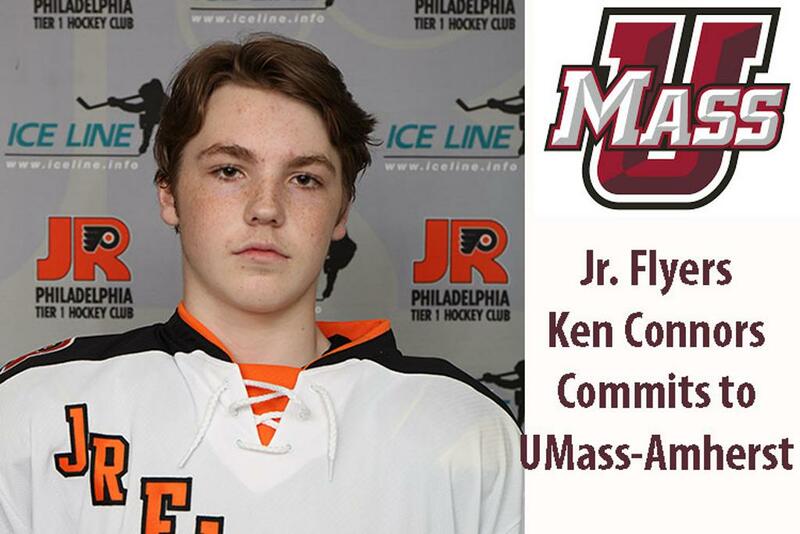 The Philadelphia Jr. Flyers are pleased to announce that 16U forward Kenny Connors has committed to play NCAA Division 1 Ice Hockey for the University of Massachusetts Amherst. Connors, 16, had 56 points (23 goals and 33 assists) in 51 combined games this past season between the Atlantic Youth Hockey, Beast and Tier 1 Elite Hockey Leagues. “I would like to thank my parents and family for all the support throughout the years” stated Connors. “I also would like to thank all my teammates and the Jr. Flyers organization” concluded” Connors. The University of Massachusetts is in Amherst, MA. The Minutemen are coached by Greg Carvel.